Array’s forged slab gate valves are available in 10,000 and 15,000 PSI configurations. The valves come standard with forged steel valve bodies and bonnets. Fittings are provided for valve body lubrication located on the bonnet. 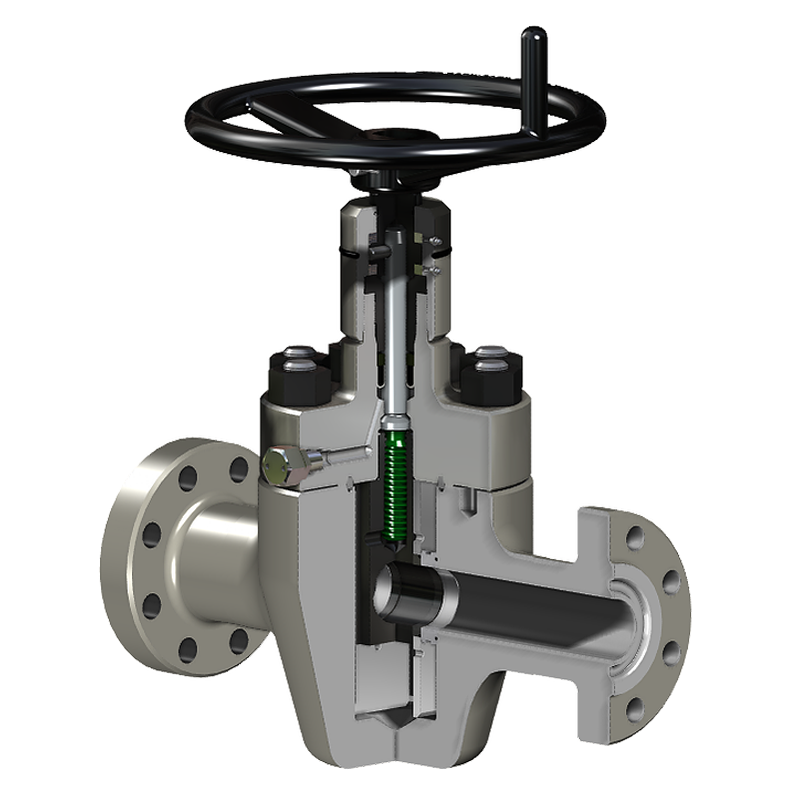 This valve has a bi-directional sealing direct acting slab gate design with metal to metal seat to gate sealing surfaces. The non-rising stem includes an integrated backseat that is seated when the bearing cap is backed off. This allows removal and replacement of the packing with the valve in service and in the open or closed position. The stem pin protects the stem and internal parts from damage by shearing if the hand wheel is over torqued. The valve is available in a wide variety of trim configurations to suit all service conditions.